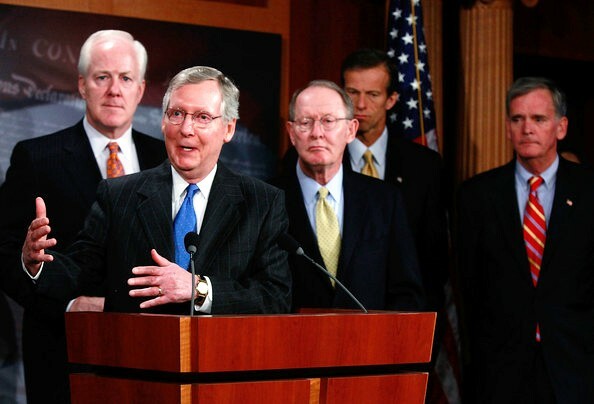 This morning I have a simple question: can anyone name a specific jobs bill that has been brought forward by the GOP? I'm just asking because once upon a time in American politics if you voted against a major jobs bill it's because you had a better one of your own. Remember those days? They're apparently gone for good. Protecting tax cuts for millionaires and concocting even more of them isn't a jobs bill. If it was then the Bush era would have been an economic golden age instead of what it actually was - a lost decade. So is that all the GOP has got left for us? The voodoo economics that says trickle down benefits flow from billionaire boom times? Or a scorched earth campaign against every initiative President Obama takes? Because, you know, they haven't been working. So is that really all they've got?